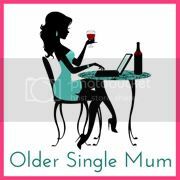 Older Single Mum: The Big 5 Life Lessons. The Big 5 Life Lessons. The other day my eldest son and I were grocery shopping when he picked up a packet of well known biscuits cakes, perused the back for a good while then popped it back on the shelf. 'You won't believe what's in them, Mum!' he cried, proceeding to reel off some of the more decipherable details. And we decided to opt for a (decent) bar of chocolate instead. This was one of my most proud parenting moments ever, because, without a fuss or any coercion he had taken an intelligent decision about what, or, more importantly, what not to eat and I felt it would stand him in good stead for the rest of his life. So when my friend Michelle from Mummy From The Heart tagged me in a meme she has begun - the Big 5 Life Lessons we want to teach our children, this would be one of them - and here are my others too. 1) Read the Ingredients. From when our children are very young - even before they can speak - it's good to start brainwashing! When they were tiny and pointed to sweets in a supermarket, I would shake my head and say they were full of sugar and chemicals and suggest a mango or some berries instead. Years later, we still have the same conversation, but now they know to read the labels on the back and don't argue. They have some, of course - party bags are always jammed with them and they often get given packets of sweets, so they haven't gone without, but I always encourage (decent) chocolate or fruit. And don't get me started on ready meals - suffice to say that the more is done to a food, the less nutritional value it has and this will be in my kids DNA long before they leave home. 2) Believe in Yourself. Oh how I wish I'd been brought up to have more faith in myself, what I'm feeling and thinking and being drawn to do. It would have saved an awful lot of heartache and people pleasing. Although we have to give and take, to have a core belief in who we are and who we want to be can be crucial to our own happiness. Being true to yourself is one of the hardest things to do in life, but it's where the magic happens. 3) Go with the Flow. This isn't an easy one for the children. When a plan falls through they can be devastated, but I like to open their hearts and minds to the idea that perhaps it's for a good reason and something better is going to happen. When one of their friends fell ill recently and couldn't meet up as we'd arranged, we ended up dropping by someone else's with newspapers we had been collecting for their few week old puppies and having lots of cuddles and a long play with all six of the little darlings. This was incredibly special and never would have occurred in our original schedule for the day. It proved my point spectacularly and I suspect it might yet have some mileage when faced with inevitable disappointments in the future! 4) Keep Learning. There's an old adage that we learn something new every day and never has anything been more true. The lightning speed of technology and how quickly things change is something to behold. It's not always easy to keep up, but no-one wants to be left behind. I studied Chemistry and Nutrition in my thirties, Journalism plus parenting manuals in my forties and Digital / Social Media is where it's at for my fifties! I haven't ruled out taking a degree yet, because it's never too late to learn. It keeps life interesting and our desires change as we get older, so don't be ashamed - go for it! Travel, too, provides massive scope for opening one's mind. 5) Pick Someone Out of Your League. When it comes to picking a life partner, I say go for a good person and you do the choosing. No-one is actually out of your league - but aim for someone you consider just might be and surprise yourself. You deserve the very best. So they're my #Big5 Life Lessons. I've been thinking about Mich's, plus everything else she said even just introducing them (!) and am looking forward to reading everyone else's. Anyone can join in but I am tagging the lovely Izzie from The World According to Izzie, because her twin daughters are now grown up and she's bound to have some top tips by now, my amazingly clever friend Tania from Larger Family, because she now has 13 children and must be able to teach us a thing or two and another of my favourite bloggers lately - Nikki from Stressy Mummy. Plus Paul, Andrea and Donna want to add theirs to the mix! Thank you. It's a lifelong thing I think Helen! You are a very wise lady. These are all such important life lessons as are Michelle's, it is going to be hard to whittle my own down to just 5! Believe in yourself is particularly poignant for me at the moment. Lots of great life lessons in there and I'd have expected nothing less from you as you're so incredibly wise. Thanks for the tag, heads off to put thinking cap on and come up with something profound... may take a while. Some great ideas Anya. I need to learn to Go With The Flow myself a bit more too! Thank you :) I know the feeling! I love the one about reading the ingredients - I would never have thought to include it but it's so important. Of course I agree with all the others as well. I'm so going to do this meme later this week. Brilliant advice and I'd have picked most if not all of them myself! Thank you for nominating me to participate. I'd better think of another five now! I need to work on 2. Don't tell my husband about 5 though because I am not out of his league but he so far out of mine! It really has helped me to aspire to be more like him (he is SUCH a good man and some of my past definitely made me angry and he has helped bring the good back out in me again). Fantastic post and I shall consider it when talking to my own children. Your last point had me raise an eyebrow on first glimpse, but I realised we have a similar philosophy: nothing is out of your league till you believe it is. Thank you - and I like your take on that last point! Great list, Anya. I would add advice on budgeting. Being able to live within your means is one of life's essential lessons. Pretty impressed with your list and would not have expected the first point! Great idea. Thank you for the tag, I will give this some serious thought. Very wise advice there Anya I think the self-belief one is so important and one that I try to encourage with my children even if I don't have much myself. I'm really interested in what you'd have to say Nikki - and my son sometimes reminds me to believe in myself, so it's not wasted! Try harder, lovely! So impressed your boys check the labels, my son just eats whatever he can get his hands on like a human dustbin, but hes only just about to turn 3 so i have time to turn this around! My life lessons would probably be along the lines of: It's okay to "fail"; Have patience - everything doesn't have to be done today; Be kind to yourself; Never stop dreaming; and Accept change as a natural part of life! The idea of continuing to learn is something that resonates with me. I remember when my son was little I took some courses on computers, even did a proof reading course. 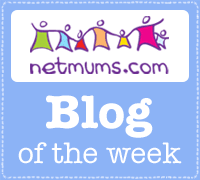 I am so pleased I did as it made the job of blogging an easier thing to pick up. Everything is so different to when we were both growing up. I would hate to be left standing. I love the Go with the Flow one - I think we are all trying to maintain order so much we forget sometimes to just let it go don't we? I love the Go with the flow one - I think we all try to maintain order so much that we sometimes forget to do this don't we?